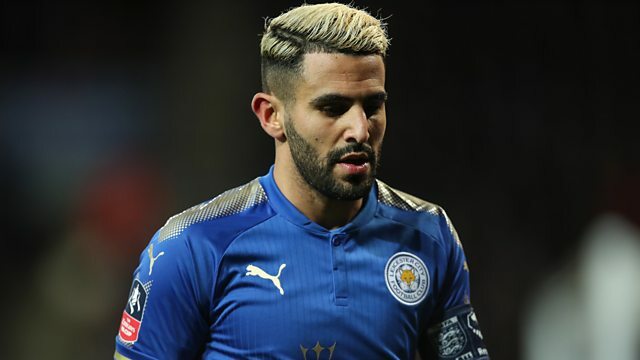 Former England and Spurs midfielder Jermaine Jenas says we might not see Riyad Mahrez again "for the rest of the season" after the Algerian's proposed move to the Etihad broke down. Manchester City walked away from negotiations for the Leicester winger because the transfer package would have cost £95m. The 26-year-old handed in a transfer request on Tuesday. "It's massively destabilised them and I think it’s going to have a huge impact on the rest of their season," Jenas added. He could easily just go down that road of him saying, “I've had enough. That's me done”. This clip is from 5 live Sport on Wednesday 31 January 2018.